SINGAPORE - POSB is marking the nation's 51st birthday by bringing back a savings scheme from the 1970s that was a big hit with Singaporeans - the Save-As-You-Earn (SAYE) programme. In June this year, the scheme was revived but just for full-time national servicemen (NSFs) under the POSB "Save As You Serve" (SAYS) programme. POSB said the SAYS scheme met with "substantial rises in salary crediting and deposits by NSFs after its launch". So now POSB is expanding the savings programme to include all Singapore customers, effectively bringing back a scheme that was first launched in 1974. 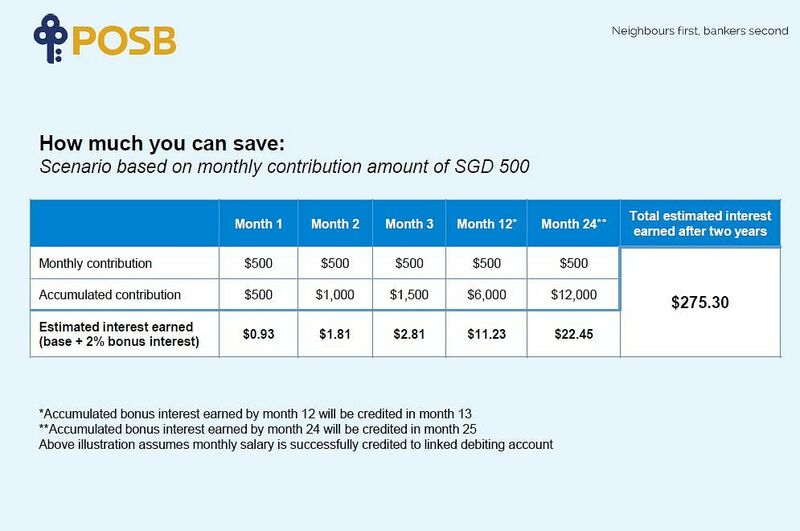 To participate, customers simply need to have a DBS/POSB savings account to which their monthly salary is credited. They can then sign up for a POSB SAYE account where a stipulated amount - between S$50 and S$3,000 - will be transferred every month from their DBS/POSB salary-crediting account. Customers will earn a bonus interest rate of 2 per cent per annum on the monthly contributions in their POSB SAYE account. Said Mr Jeremy Soo, managing director and head of consumer banking group (Singapore) at DBS Bank: "When POSB SAYE was first launched in 1974, it was unique in the industry - no other bank in Singapore had a savings programme like it. The programme was pivotal in inculcating the habit of thrift among Singaporeans and many of us still routinely set aside a portion of our monthly salary for a rainy day. "We believe POSB SAYE is still relevant today and by bringing it back with an attractive 2 per cent bonus interest as incentive, we hope to carry on POSB's enduring legacy of encouraging generations of Singaporeans to save." 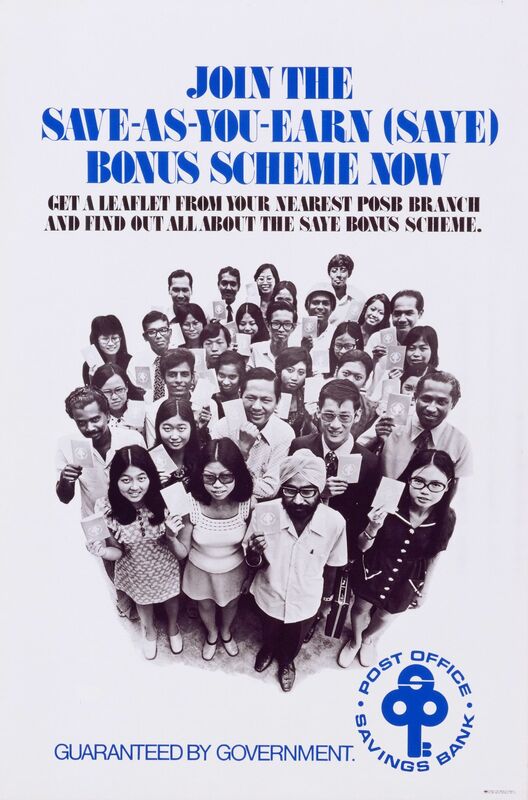 The savings scheme was so popular when first launched in 1974 that by the end of the year, POSB had more than 800,000 savings accounts with deposits totalling about S$296.4 million, up from 600,000 depositors and S$125 million in deposits in 1972. To mark National Day, POSB has also set up a month-long public exhibition, the POSB Gallery, at the National Library Building that charts the bank's journey from its inception in 1877 to present day. It features artefacts from the past, ranging from old POSB passbooks from colonial times to the POSB Lucky Draw Drum used in the 1970s. POSB said it hopes the gallery will inspire Singaporeans to share their own POSB memorabilia to add to its collection, which will go towards a larger exhibition for its 140th anniversary next year.